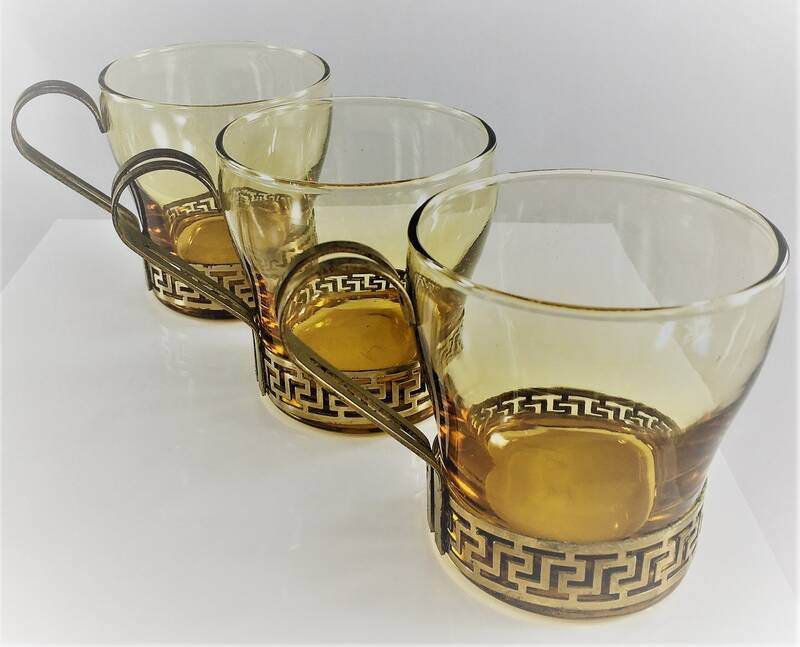 Featured is a super-cool set of 3 mid century modern Libbey Espresso Glasses with metal handles. 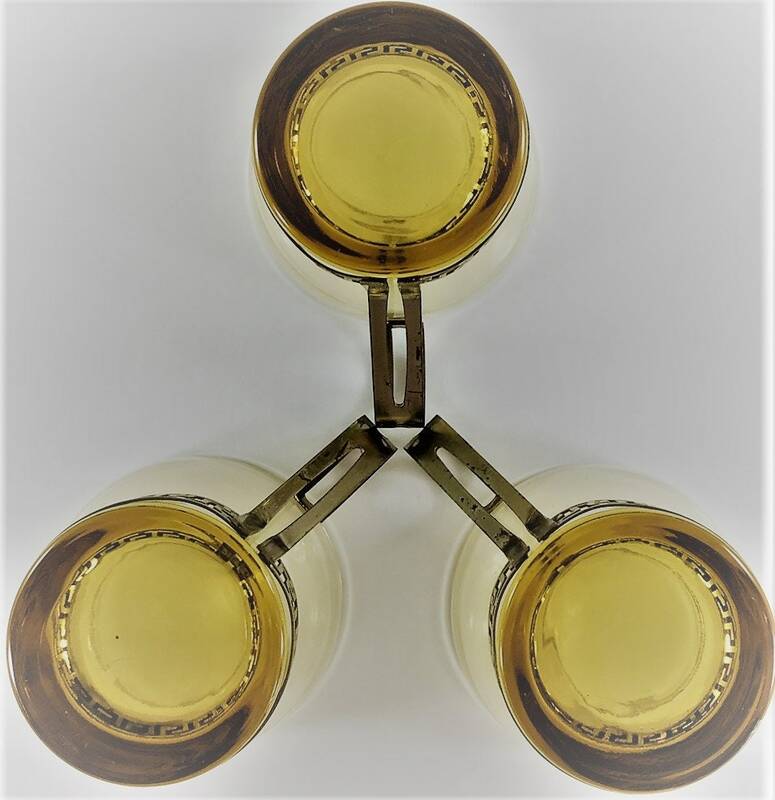 Each glass measures 3" tall x 3" wide, not including handles. 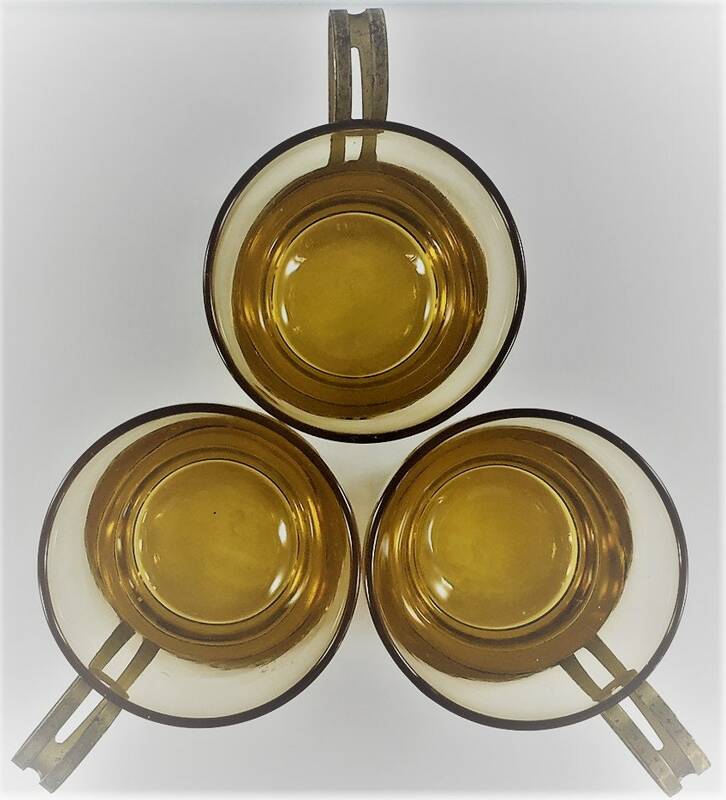 These pieces are a wonderful amber color and have a nice keyhole pattern in the metal band around the base. The metal piece is easily removed for cleaning. The glasses are in great shape, free from any chips or cracks. The metal is a bit tarnished, but is complete and in tact. 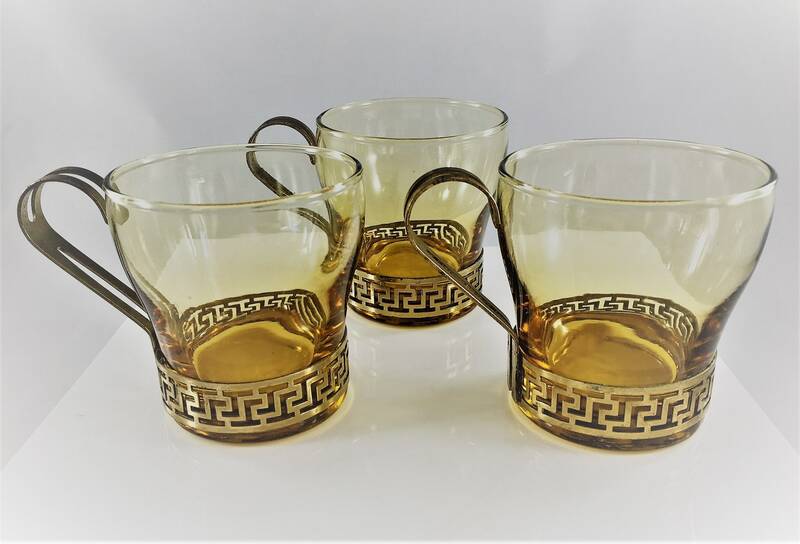 These would make a nice addition to any vintage bar or kitchen! All three for one low price.